“Our lives are not our own. From womb to tomb, we are bound to others. Past and present. And by each crime and every kindness, we birth our future” – Sonmi-351, Cloud Atlas. To begin to explain the plot(s) of Tykwer and the Wachowskis’ film would add up to nothing more than an enumeration of names, places, and times, and although the sheer scope of the film is worth describing, the complexly woven narrative doesn’t make for neat unpacking. Spanning a period of just under 500 years, this daring, daunting, dreamlike film is actually made up of six different, interlaced stories. Based on David Mitchell’s visionary novel of the same name, Cloud Atlas begins in 1849 on a voyage in the Pacific Islands and ends some 200 years into our future, in a post-apocalyptic, neo-tribal Hawaii, linking the characters through life, death, triumph, defeat, art, fate, and above all, love. In the 19th century, Jim Sturgess plays Adam Ewing, a lawyer making his way home through the South Seas on a merchant vessel and forming an unlikely friendship with escaped Maori slave Autua (David Gyasi). 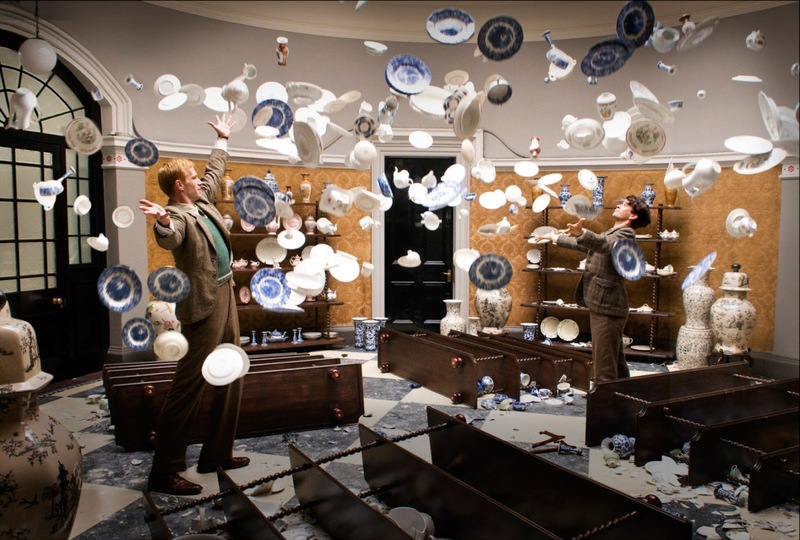 In pre-World War II Britain, the young, talented Frobisher (Ben Wishaw) creates his own masterful composition (“The Cloud Atlas Sextet,” from which the movie’s title comes) while working as amanuensis to a cantankerous old musician. In 1970s’ San Francisco, Luisa Rey (Halle Berry) is an investigative reporter on her way to uncovering a massive conspiracy. Closer to present times, British publisher Timothy Cavendish (a delightful Jim Broadbent) is on the professional and personal ropes until his vengeful brother sticks him in a Cuckoo’s Nest-like old people’s home. One of the film’s most urgently moving sections takes place in 22nd century socially stratified New Seoul, where genetically engineered fabricants serve master consumers until one of them, Sonmi-351 (played by Korean model turned actress Doona Bae), wakes up to the possibility of being human, and that of being free. Fast forward to “106 winters after the Fall,” and civilization is essentially divided into two ends of the technological spectrum with nothing in between: tattooed tribal cave-dwellers like Zachry (Tom Hanks), who speak a sort of futuristic pidgin at times difficult to discern, and high-tech travelers who traverse the universe in water ships that directly reference the boat in the first story. At almost three hours running time, with the diversity and density of the material covered, it’s not difficult to understand why the film needed not one but three directors. While the Wachowsky siblings tackle the most distant chapters in time (the 1849, Neo-Seoul and Hawaii sections), Tykwer sticks closer to the present with the 1930s’ Edinburgh musician, San Francisco journalist, and British publisher sections. Tykwer’s chapters are smaller, tighter, funnier, and often more emotionally involving; the Wachawskis’ are bigger, louder, grander, and more spectacle-driven. In a film that comprises a sweeping epic, a period piece, a love story, a suspenseful political thriller, a dystopian sci-fi fantasy with hints of Orwellian satire, melodrama, comedy, action, mystery, and tragedy, sometimes all at once, each director and story has its own unique style. Ewing’s voyage has the look and feel of a historical drama; Frobisher’s segment benefits from a quiet, tasteful, and poised theatricality; French Connection-era naturalism informs Luisa Rey’s chapter; Cavendish’s ordeal receives the treatment of a cozy British comedy; Sonmi’s tale evolves in a pop-culture, futuristic Matrix-esque milieu; and sheep-herder Zachry inhabits a form of postmodern Primitivism. The movie’s interwoven threads are at times simply and elegantly braided, at other times a tangled and knotted narrative mass. The shifts between the different strands are for the most part seamless, aided by the brilliant editing of Alexander Berner, as Cloud Atlas ping-pongs between these different stories without ever getting too confusing. All the actors appear as multiple characters. Broadbent takes on the role of Cavendish with great gusto and flair, and then tones it down to play aging musician Vyvyan Ayrs and the South Pacific ship captain. Halle Berry plays the reporter, but also the woman Zachry falls in love with, as well as Ayrs’ wife, and a few other roles she is completely unrecognizable in, including an old Asian man. Susan Sarandon appears in a few short roles, tracing behind her wafts of either love or wisdom. Hugh Grant shows up as a number of unsavory characters, while the main villain of the film is played, in every section, by Hugo Weaving, who portrays, among other roles, a hitman for hire, a Ratchet-like female nurse, and a demonic entity. But it’s Hanks who seems to be having the most fun, playing a profanity-spewing thug out of a Guy Ritchie movie, a sleazy doctor, a self-serving hotel receptionist, a whistleblower, an exaggerated Jim Broadbent, and a futuristic tribesman. But beneath the makeup and costume extravaganza, every actor manages to create at least one palpable, memorable character with an emotional center. By having their actors portray people of different ages, nationalities, races, and genders, Tykwer and the Wachowskis point out the universality of the human condition and experience, and how we are all the same when it comes to love, despair and the desire for life and freedom. In each story the powerful work to repress individual freedom, and alliances which transcend social, racial, and political boundaries are formed. The movie is made up of about equal parts hope and despair, some scenes as airy and bright as sun-dappled clouds, others almost too wrenching to watch. In many ways, Cloud Atlas chronicles the struggle between opposite forces: free will and determinism, social Darwinism and kindness, individualism and community, freedom and suppression, submission and insurgence. 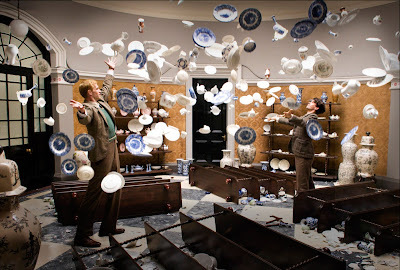 The movie is loaded with soaring themes and flights of feeling that make it as thought-provoking as it is gorgeously photographed by cinematographers Frank Griebe and John Toll, who, in turns, give Cloud Atlas the warm mien of intimate tableaus of human interaction or the dark and colorful ostentation and impersonality of an epic. Because the film, in all earnestness, is both, as sincere and heartfelt as it is lavish and loud. The writers/directors are concerned with the secrets of the universe as well as those, sometimes more complicated ones, of the human heart. Freed from the constraints of narrative continuity, Tykwer and the Wachowski’s cinematic mosaic functions more like music, according to its own inner rhythm and logic. Like in a symphony, snatches of all six separate strands are laid out, changing like variations of the same theme, echoing and amplifying each other, until they finally come together in grand movements in which the elements merge and form new combinations. 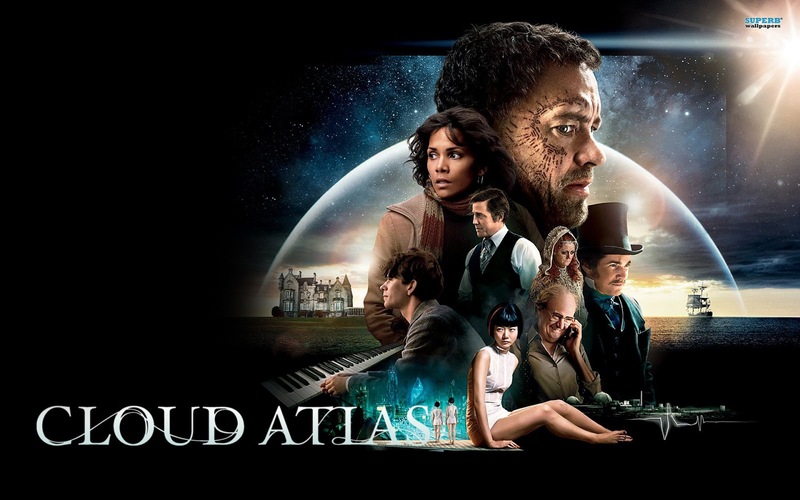 Cloud Atlas goes for the high notes and although it sometimes falters, for a few moments it reaches the rarefied atmosphere of the clouds, getting as close to the sun as anyone ever should.